The So Cal Express U13 National Team is back! 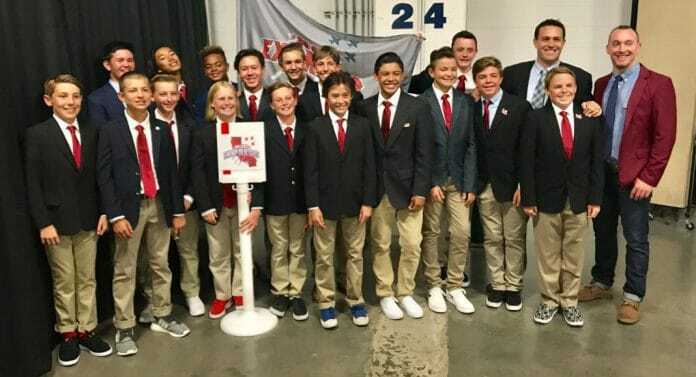 Last summer some of the best U13 boys lacrosse players in Southern California joined forces on the So Cal Express National team and reached the The World Series of Youth Lacrosse in Denver Colorado. Once again, the So Cal Express will form a National Team with the goal of returning to the WSYL. The journey begins with the tryouts that will be held on November 5, 2017 from 5 – 7 pm at Santa Margarita Catholic High School. To comply with the strict WSYL rules, players must be born on or after September 1, 2004 and live within a 100-mile radius of Irvine, California. The WSYL comprised of teams from all over the United States as well as Canada and Israel was jam-packed with talent and had at the picturesque Dicks Sporting Goods Park. With corporate sponsorships from Coca-Cola, Nissan, and New Balance, each team was given the VIP treatment, with gear giveaways, competitions between games, video interviews, and an amazing banquet held at Mile High Field, home of the Denver Broncos.